Create a budget for your move. (a) Expenses for the moving process, including packing supplies, truck/van rental, moving assistance and temporary or long-term storage of goods or (b) Expenses incurred while setting up your new home, including installing utilities, cleaning, minor or major repairs and possibly the cost of alternative lodging while your prepare your new home. 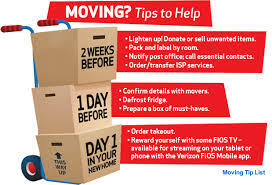 (c) Hank’s Moving Service does not disconnect any electrical or gas appliances or fixtures -these things need to be taken care of before the move. Hire a reputable moving company. This will take some of the hard work off your hands. We recommend finding a moving company that will help you estimate the cost of moving your property to your new home. When you submit an online proposal to our website, we can arrange for you to receive several competing estimates from moving companies in your area. Before attempting to evaluate estimates, be certain that each company offers comparable services. Take into account different methods of estimating cost, such as cubic footage, dimensional weight or flat rate shipping. Also, remember to ask about additional services such as hoisting, piano handling, labor and packing supplies. Although many moving companies will supply you with packing materials, you may also choose to purchase those materials yourself at a reduced cost. Ask specific questions, including whether the materials will be delivered to you or if the company offers short term storage until your new space is ready.For those working with a limited budget, hiring a moving company may not be affordable. The cheapest option is to rent a truck or van and move your own goods. When you consider truck rental, pay close attention to the companys estimate, comparing the rate per mile and per day. Another option is to hire a transportation company to move your goods, while you provide the labor of loading and unloading the truck. This option is only available to those who are moving out of state. Our web service can provide pricing information from several transportation companies within your area. Start thinking about your utilities. Before you hit the road, prepare a list of cable, telephone, gas, electric, and internet companies and, if possible, try to get competing estimates for these services. Remember to ask for bundled deals, such as phone plus Internet, or gas plus electric, as package deals can save you a lot of money. If you are moving to an apartment building, include move-in fees, key and pet deposits and decorative estimates in your budget. It might be a good idea to take cleaning and repair supplies into account before you determine your costs as most new homes will need some minor repairs and cleaning before you start arranging furniture. 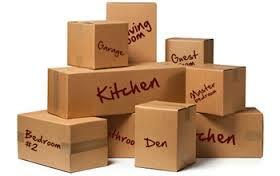 There are also many incidental expenses that occur when moving. Don’t forget to consider automobile storage, changing license plates and insurance and travel expenses to and from work or school. Before planning a move, it is a good idea to check tax and insurance rates, including homeowners or renters insurance and property taxes. The more details you cover, the fewer headaches you will suffer down the road. With careful planning, your move can be easy and successful. Moving a piano can be a difficult task and we highly recommend you hire a professional to move it for you. Moving Explorer can refer you to professionals in your area with experience moving pianos and other cumbersome items. Moving a piano yourself can be dangerous both to the piano and to you. You also risk injuring anyone who is helping you move the piano to and from the moving truck. Pianos come in four major body types and each type requires a different plan before they can be moved. The spinet piano, typically the smallest design, is built in two sections. The first section has the front legs, which are bolted to the undercarriage. We do not recommend disassembling the piano, or the front legs, as it can be very difficult to reassemble. In addition, many spinet pianos are antiques and it can be harmful to the wood to remove the legs or detach the sections. Protect the piano with moving blankets (available at any moving supply company) and make sure not to stack heavy boxes on top of the piano. The upright piano is a medium sized piano but can often be heavier than larger pianos because many upright pianos are constructed of heavy wood and hardware. The older the design, the heavier the piano will likely be. Make sure to completely cover the item with moving blankets once it is arranged in the truck bed. The Baby Grand piano is larger than an upright but is often not as heavy. Before moving a baby grand, you must be sure to remove the wing and cover the top of the piano in cardboard sheets to protect the hardware and prevent scratching. It will often take upwards of four people to safely move a baby grand without damaging the wood or causing injury to movers. 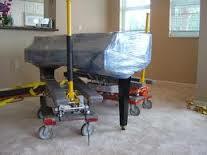 Many moving companies will remove the legs of a baby grand piano before loading it onto the truck. Make sure the piano is resting on moving blankets or other padding and take care when stacking boxes on top of the piano. As always the wood should be protected from scratching using blankets and other padding once it is securely arranged in the truck. 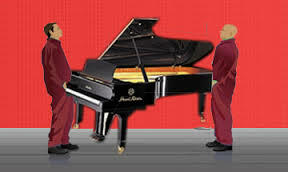 A grand piano is the largest and heaviest model. The preparation is similar to that used for the baby grand but you it is wise to have many hands to help move the piano. Piano moving is not easy but there are moving companies that specialize in moving these instruments. 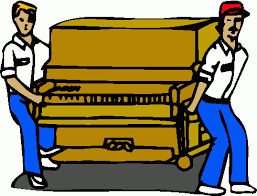 Many movers have methods to avoid damaging the piano or injuring themselves while moving. It is sometimes necessary to have pianos hoisted from a window or balcony because the stairs are too weak or narrow to allow safe passage. You should always consult a professional piano mover before attempting to move the item yourself. Professional piano movers, carry liability coverage that will protect your piano in case of damage and will also protect you from damage to the inside of your home. If you choose to move your piano yourself, you will be responsible for any injury or damage to your building. By submitting to our online moving service, we will provide you with information and pricing from several companies who perform piano moving in your area. Even if you choose to move your piano yourself, it is often wise to consult with professionals, to avoid making costly or dangerous mistakes. 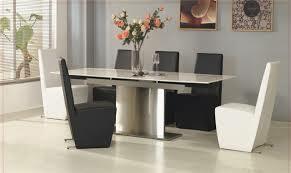 Moving glass or marble furniture is difficult, unless these items are carefully packed. Marble is a very soft stone and can easily break, especially when exposed to changes in temperature. 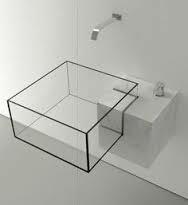 Always keep glass or marble upright and do not lay it flat while moving or storing it. Never rest marble or glass diagonally or you risk incurring damage to the corners of the piece. Before moving any cabinetry with glass doors and/or shelves remove the shelves and doors and pack them separately to avoid damage. To pack glass or marble shelves properly, take a cardboard box of a similar approximate length and cut it open, so you will have one long cardboard piece. Place one shelf on the edge of the cardboard sheet and carefully fold it once. Place the next piece of glass and repeat the process leaving enough room for the next shelf. Securely fasten the cardboard roll with tape and make sure to keep it upright while moving. 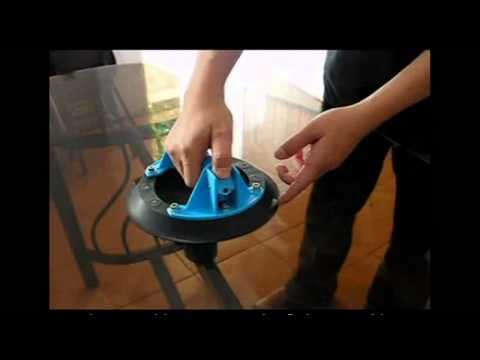 When moving a piece of furniture made of glass or marble, cut a box and wrap it around the item making sure to leave enough material to cover the top and bottom completely. If needed, use several boxes to ensure complete coverage. The best box to use is a wardrobe box, as they are typically constructed using heavy cardboard sheets. If you can purchase or rent moving pads, apply additional layers of padding to the cardboard for additional cushioning. In some cases, glass doors must be removed and wrapped separately. In this situation, we recommend removing handles from these items to avoid creating pressure spots which may weaken the cardboard cover. Packing sensitive items is much easier with more than one person, so ask a friend or family member for assistance before packing your fragile items.